WASHINGTON (Sputnik) - One of the suspects in the recent attack on the US Embassy in Ankara, Turkey, told investigators that he acted because he was angered by US President Donald Trump’s statements against Turkey and the sharp decline of the Turkish lira against the US dollar, Hurriyet Daily News reported on Wednesday. Ahmet Celikten, 39, and Osman Gundas, 38, who were both detained after firing six shots at the US Embassy building on Monday morning, blamed the incident on a combination of anger and alcohol, the outlet reported. According to the report, Celikten and Gundas drank and drove around while discussing Turkey’s current economic situation and the critical statements made by Trump with respect to Turkey. The suspects become angry and decided to shoot at the US embassy, the report said. Turkey has charged Brunson for his alleged ties to the organizers of the July 2016 failed military coup. Washington has been urging Turkey to release Brunson. Following the introduction of the sanctions, Trump said in early August that he had authorized increased tariffs on steel and aluminum imports from Turkey. 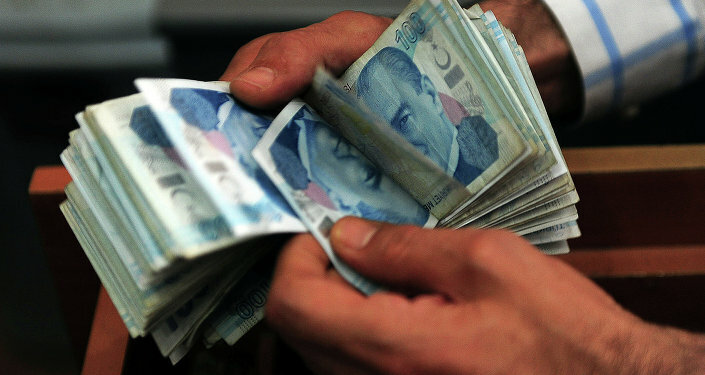 The announcement led to a sharp drop of the Turkish lira. In response, Ankara raised levies on 22 types of US goods.